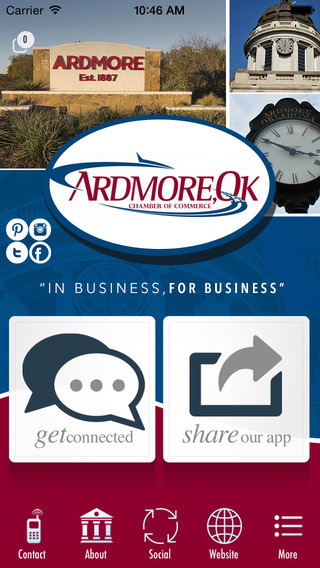 The Ardmore Chamber of Commerce has long recognized that a good business climate is paramount for community growth. For more than 100 years the Chamber has been an advocate for community improvement and has worked tirelessly on needed reform. That trend will continue throughout this year.As well as working on many local issues, the Ardmore Chamber of Commerce consistently works to effect legislative changes that will benefit the entire state and community. This year, the Chamber will be concentrating on activities that create more jobs for Oklahomans. Key initiatives focus on unleashing private investment, ensuring justice and sustaining a vibrant, diverse economy. The complete Ardmore Chamber Legislative Agenda can be found on our app.